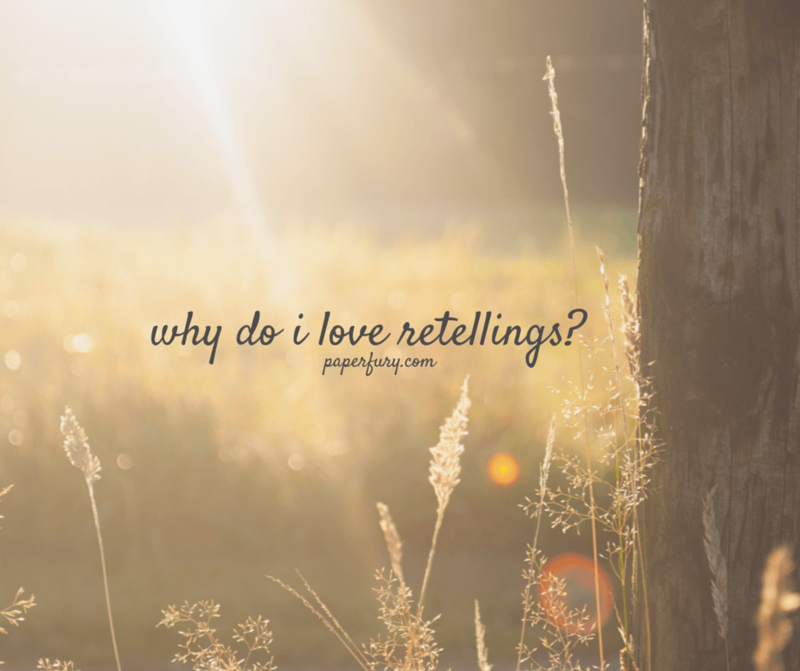 Why Do I Love Retellings? I’m a sucker for Once Upon A Time. Just kidding! * I love retellings (fairy tale, classic, and even history) because they throw a new angle on something I’ve always loved. It’s the ultimate fanfiction. And it amazes me how an author can turn an overused story about girl who can’t keep her shoes on into an epic and hilarious and empowering story about a cyborg. That takes talent. That takes imagination. * Not really. I love a good tragedy. I absolutely do. Retellings inspire me because they’re full of imagination. I’m an imaginative person, okay? I love imagination and I want to see other people popping ideas like suave moths and assassin Cinderallas out of their delightful brains. I want to read a retelling and think, “Yep, never would’ve put that together.” I want to be impressed and amazed. But retellings have to be done well. Okay, so they need to be perfect. If you’re going to mess with my favourite story in the world that I grew up loving and imagining and dreaming about: then do it justice or go home. Or else my little psychopathic side might come crawling out for a game of Cluedo. Real life Cluedo. Kidding. I’m a super nice person 3 days out of the year. But, onwards shall we? To happier things! As you know from my list of 22 Things To Do Before I’m 22, I’m taking part in Mel’s Fairy Tale Retelling challenge. I’d like to read 10 to 15 retellings this year. The goal is for “fairy tale retellings”, but we can sneak in some other retellings if we choose. It started me thinking, “What books am I going to read?” I don’t buy books* so it narrows down to a) what I can get review-copies of, and b) what the library has. ** Which isn’t a biggie, because it takes me two blinks of an eye to be passionate about a book. What can I say? I LOVE BOOKS. I’m mightily proud of this selection because most of them are 4 to 5 star reads. Does this not prove that I am in love with retellings?! You know that feeling of being terrified that you’ll run out of your favourite genre? FAIRY TALE RETELLINGS I COULD READ? Well that’s 17! If I read them all I would a) be amazing, and b) be tired, and c) I’d hit the next level of winner in the challenge! But let’s take it calmly, eh? I love fairy tales, retold or not. There is an awfully large chance I will never ever grow out of fairy tales. I love the magic of them. I like equal parts horror and sweet or icy and furious. I like things that are impossible. I like oldness reimagined. I like tales that never lose their poignancy. I also like Sherlock. Which, coincidentally, the show is also a retelling. How perfect. are you taking part in this fairy tale challenge?! got any books to recommend me? (it depends if my library has them though, but I’ve got a fabulous library) any books on my to-read list you recommend i skip because they are poisoned apples? and do you like/hate fairy tales and retellings? TELL ME WHY, THOUGH. Cait loves retellings so much she’s written three of them. They’ve turned out a little dark and scary and very apocalyptic, but who doesn’t think of Little Red Riding Hood’s grandma as a gun dealer, right?! Currently, she’s reading THERE WILL BE LIES which is partially boring and partially addictive. PS. Don’t forget to fill in my survey! I’ll post the results this week. There are some fabulously interesting statistics, including the fact that 70% of my readers are, in fact, pineapples. It’s a regular fruit salad around here. Previous Post: « Doesn’t Everyone Love Magnus Bane? I've never done any challenges before this year so I am SUPER excited. heh. XD oh oh oh but I agree! It's like they're old stories that we've always known…turned on their heads. That's what makes them so so intriguing to me. I hadn't even heard of Briar Rose before this but now I am SO excited for it!! I love anything that gives me a nostalgia hit! …But I’ve never read any fairytale retellings…Saying that, I never was a fairytale girl (I can count the number of Disney films I’ve seen on one hand – and only two of them are fairytale retellings). I’m a myth/folklore person…The Gospel of Loki is a myth retelling, and it’s AWESOME! Is it just me or are most films adapted from books less ‘the film of the book’ and more a retelling of said book? On a (slightly) related note, I want to write a retelling of Much Ado About Nothing at some point. I’m surprised to find that I have actually read quite a few of the books on your TBR list of retellings. The Looking Glass Wars are amazing books, and I think you may like them. You’ll at least appreciate the Mad Hatter’s hat. It is a thing of wonderous epicness. Peter and the Starcatchers is quite good too. It’s the only Peter Pan retelling I’ve ever had the chance to read actually. And Fairytales for Wilde Girls is a little strange, but awesome. The writing style is very different, but it’s a good story. I know what you mean about worrying that you’ll run out of your favourite books (before laughing hysterically at the idea that the world will run out of epic books to read). I think I got some new recommendations for fairytale retelling from this post now, so thank you for that. I’m off to hunt down my librarian and force her to hand over all her fairytale books. Oh, oh, and I really wanted to thank you for recommending Skulduggery Pleasant. I found five of the books in the library and binge read them all. They have sarcasm! Epic sarcasm. I think they are my most favourite books of the moment. Just wanted to let you know that once again your recommendations are awesome. I\’ve read two Peter Pan retellings (Tiger Lily and Second Star) and LOVED them so I\’m pretty sure Peter and the Starcatchers will totally be awesome. xD I actually had Fairy Tales for Wilde girls out from the library but I ran out of time to read it and sent it back. Next time?! Hopefully! I was just so amazed my library had so MANY. It is a good library, but they tend to have a weird selection of books. Ack. I had no idea ToG was based off Cinderella. Sherlock is the BEST re-telling ever. I tried reading Arthur Conan Doyle’s original books at one point, but he was too…well…nice ._. There have been lots of great reviews ’bout Dorothy Must Die, so that’s one re-telling we both must try, eh? YES IT IS. BELIEVE ME. I didn't actually see it until after I'd read it and heard it was a retelling. Nooow I get it. xD I'm not sure I'd count the rest of the series as retellings, though, because it's more faerie-ish.I haven't read the actual original Sherlock books. :'( I keep meaning to try, but that kind of writing always goes over my head.HELLO, MY FRIENDLY PINEAPPLE. Yes, I am taking part in the Fairytale challenge! I wasn’t going to do anything but the Goodreads thing, but I had challenged myself to reading all of Maguire’s retellings and one of my tweet peeps suggested that if I was going to read that many, I might as well join the challenge. After that I remembered I was also going to read Bitter Greens and Damselfly. Remember when you asked in that blog post about what retellings we would like to see, and I said Thumbelina? Well, I was telling my sister and she said, “there is!” , and showed me Damselfly. Cool! I won Dorothy Must Die last year and was highly excited, but it was a personalized copy and the author was on tour so it’s arrival was taking some time, so I bought the prequel novella, No Place Like Oz. Um, it sucked, it was so weirdly written (YA content written with Children’s chapterbook vocabulary, and Middle Grade emotions), I dnfed it. The book is pretty on my shelves, and it is the very first book I received signed to La La, so I am keeping it, but I doubt I will ever read it. People have told me the writing in DMD is much different from No Place Like Oz, but that makes no sense to me; why would an author change her style for a prequel? Throne of Glass is a retelling???? Why did no one tell me this? I have the novella compilation and the first two books ready to go on my Kindle. They just moved up some on my tbr if they fit the challenge! I like retellings! I don’t read that many though. Love the Sherlock gifs. I guess the main ones I’ve read are Marissa Meyer’s though. I also read Sisters Red, which was super cool. What’s Sweetly based on/like? I pretty much never buy books either. I have a lot which I get as presents or hand-me-downs. Being in a small town India, unfortunately, means that the library is only the one from school and isn’t that great. On the plus side, the librarians buy any book we recommend, because they love us. And there’s also the Auckland library eBook selection, which is pretty good, though not extremely extensive. I never seem to have any money and the nearest bookshop is 45mins/half and hour depending on walking speed away. Oh well. But the unpopular ones are SO COOL. I've only read one nutcracker retelling but it was ajfklasf so beautiful. xD I love it when the minor fairy tales are redone too. xD I hope you do write on one day! THEY ARE FUN TO WRITE. This is actually my first year doing any challenges at all so I\’m really excited. ^_^ *flails cautiously* AFJDSLA I REALLY WANT ACOTAR. I would\’ve put Mechanica on my list, but I\’m not sure if I\’ll get an ARC, so better be safe, right?! I like a good retelling every now and again but (don’t hate me) I DON’T LOVE LOVE THEM. I mean, I enjoy one or two but I could never express my crazy love for them. In fact, I don’t even think I’ve read a retelling worth 5 stars OH KNOW. I am going to pick up Fairest soon though. Hopefully that one is good though! I WON\’T HATE YOU. Because I\’m endlessly nice. *nods humbly* Seriously, though?! You haven\’t adored any of Marissa Meyer\’s so far?! Ah, but hey, each to their own right? I will not throw retellings at your head. At least…I won\’t throw them hard…. I absolutely love fairy tales and most of the retellings! And btw i really really enjoy reading you blog! But the thing I wanted to say: Ever heard of “Into the Woods”? You probably have! (if not, it’s a musical, wich is now made into a movie and it’s also a really big and verry funny retelling) Anyway I saw that movie yesterday, so after reading this post, it made me think about it! I think your gonna love it! Hiiiiii Marit!! I HAVE heard of Into the Woods and I would like to see it someday (although, I confess, I\’m not the world\’s biggest musical fan. *sigh* I know, right?! How shameful of me!) XD But I\’ve heard it\’s hilarious so I WANT TO SEE IT EVENTUALLY. Ooh, I saw the retelling challenge but wasn’t feeling up to it, so I didn’t participate. I do have quite a few retellings on my TBR, though! I think retellings are so powerful because it takes something that the reader is intimately familiar with and has to turn that familiarity back onto the reader by subverting the original. It’s like meeting a childhood friend twenty years later and s/he’s a glamorous CEO or something. But I do so love retellings, although – and I can’t believe this – I still haven’t read a good Shakespeare retelling. Argh. I NEED. P.S. : Oh, dear. I hadn’t realised so many of us were pineapples. Maybe next time give an option for grapes or something, or it’ll be too sour to make a good fruit salad. Can’t wait to see the results! Completely fair! I actually have never done any challenges so this year I wanted to experiment a bit and do some different stuff. x) Ohhh, yes! I agree! It totally is like meeting that childhood friend…especially if you easily pick up where you left off, right? Too true. I should\’ve at least had some options. Maybe I have APPLES in my mix and I didn\’t let them be themselves in my poll and forced them to conform to pineapple-ness. Uhhhhh. Throne of Glass is a retelling?? What now?? I was always far more interested in myths and legends than I was in fairy tales as a kid, which may be part of the reason I never really liked Disney movies…….. ANYWAY. I’ve read a fair few retellings, but I don’t go out of my way to look for fairy tale ones. I prefer retellings/modernisations of classic novels (which is appropriate seeing as that’s essentially what my NaNoWriMo novel was! ), so thanks for the link to the Epic Reads list, which has helped me find a few more that I desperately need to get hold of!! I like mythology retellings too, and I wouldn\’t mind seen more classics retold. Although Lord of the Flies is retold A LOT (just thinking of Gone by Michael Grant and the Maze Runner off the top of my head o.O). That epic reads list is gold. Especially at the end! It has Shakespear retellings and things too. Ooh, yes I could. xD I shall check if my library has it. Maybe they might buy it?? AJFDSAD SHERLOCK IS THE BEST. And yes! ToG is definitely Cinderella…I actually didn\’t see it until someone told me but now I SEE IT ALL. I like the dejavu AND the nostalgia. I just love that I\’m rereading something old that I love that\’s still (somehow) new. BECAUSE I\’M NICE/MEAN LIKE THAT. Awesome post, Cait! What’s Throne of Glass a retelling of? Splintered – check. Alice in zombieland – check. But – BUT, If I have to name a retelling I can’t avoid naming the Grimm Diaries of Cameron Jace. Or all the retellings, Insanity is about Alice in Wonderland, for example. But the diaries and the prequels made me honestly put down the book and stare at the wall in front of me. For minutes. They are an amazing retelling of the Grimm stories and I’m surprised they aren’t mentioned here! There is blood, there is shipping, intrigue, multiple point of view that leave you whimpering for a nice and clear opinion on a character, there is “I’m going to murder your favourite bedtime stories” and…please, read them. If I remember well the prequels (which are actually even better than the story sometimes) are cheap ebooks…and the first ones are FREE. I think I need to read them again. Just because I need a fresh memory for the new one that I still have to read. I know you already have the books you want but you should add A Kiss in Time. Its sleeping beauty and I loved it! I\’m totally up for recs, so YAY! I will look that up right now! You know, I don’t really consider Alice in Zombieland a retelling. There is a white rabbit that appears from time to time and that’s about it for Alice in Wonderland references. I found a few books that you have read that I have not. I gotta get on that, I love retellings to! I’ve been meaning to read Ash for the longest! Aw, darnit. Do you reckon it\’d still count for the challenge, or probably no, then?? NO ONE IS EVER TOO OLD FOR MAGIC. OH! I am looking her up asap! I’M OBSESSED WITH RETELLINGS. Reading them, writing them, directing and acting them, watching them…I just adore fairytales and retellings of anything. But I’m picky as well! I don’t want it to be too CLOSE to the original, but I don’t want it to be unrecognisable either. I won Dorothy Must Die and it\’s been on my TBR ALL YEAR AND I FEEL BAD. Buuuut, I\’m definitely going to try it. I shall look up The Goose Girl pronto! What “Throne of Glass” is a retelling?! I have this book in my shelf, but not read yet. I don’t like retellings ._. But books like “Dark Wonderland”, “Alice in Zombieland” or “Cinder” are so hyped (?) here in Germany, everyone read and love them. Oh no, this information makes me sad 🙁 Not that I don’t like Cinderella, I like fairy tales and know a lot of when I was a child, but I don’t want retellings. Yeeeahh … that’s right! I’m a big dystopian fan, love fantasy and contemporary – all the most hyped books in the moment haha 😀 Do you read the 5th wave yet? I like retellings a lot for the same reason you mentioned: I love to see how authors play with known tales. It’s very difficult indeed! The last retelling I read was Tiger Lily and…. I didn’t like it as much as I hoped I would. I felt very disconnected with the story and some of the characters but I do have a couple of books I wanna dive into (The Lunar Chronicles and Sisters Red). And, I DIDN’T KNOW THRONE OF GLASS WAS A RETELLING!!! P.S: those Sherlock gifs, girl!! I didn\’t like Tiger Lily quite as much as I hoped either. Peter Pan is my FAVOURITE fairy tale though, soooo maybe my expectations were a bit too super high?? THRONE OF GLASS IS A RETELLING OF CINDERELLA!!! I’m not taking part in the challenge. I mean, I probably could, but I’m going to be taking part in a different fairy tale challenge next month, and I’d like to save my supply of retellings for then. I saw a couple weeks/months back that you had UnEnchanted by Chandra Hahn on your Kindle. Read that. It’s wonderful. Also, if you happen to have it on your kindle (I picked it up for free last year, so you might, what with it being free and all that) CINDERELLA THEOREM by Kristee Ravan. THE PRINCESS CURSE by Merrie Haskel, which is the story of the daughter of the soldier who solved the mystery of the Twelve Dancing Princesses … and it’s also a retelling of Beauty and the Beast with some Hades and Persephone mixed in. THE FROG WHO WOULD BE PRINCE by Norman Juster. Again, this is one you might or might not have on Kindle, since it’s been free, but it’s the best retelling of The Frog Prince I’ve ever read. It has a magical library book that starts talking when hits the overdue mark, a dragon, a dwarf, and the Sleeping Beauty. And I know of more … but I think I’ll stop there. I checked my kindle for Unenchanted and COULD NOT FIND IT. So I went on Amazon and it\’s still free, so now I have that. ^_^ Happiness. OHMYGOSH, The Looking Glass Wars! I love them so much and Hatter Madigan is the awesomest thing. Ever. So awesome. I LOVE Fairytale retellings. lol… I don’t like it when the do a rubbish JOB, but I love them in GENERAL. Like Into the Woods (le movie) IT was GOOD. IT was WEIRD. IT was DARK. And I loved it. lol. Well, AGREED. Who likes it when they do a bad job?!! also Patricia C. Wrede’s Enchanted Forest Chronicles – they just have lots of little fairytale things referenced all over and are hilarious and scrumptious. Mostly the first two. BUT CAIT. YOU ABSOLUTELY MUST READ ENTWINED. I think you’d love it. Because it has awesome characters but is also a little dark/spooky, and kind of hilarious sometimes. 😀 And Peter Pan in Scarlet I love even more than the original and it’s SO Peter-Pan-ish but also feels a little darker than the original, I think, and just alkdjflksjdflksjd I love it to death. <3 AND I THINK YOU'D LOVE THE AMARANTH ENCHANTMENT. BECAUSE IT'S SORT OF CREEPY BUT ALSO LOVELY/FUNNY. OH YAY my library has Peter Pan and Scarlet! I AM HAPPY. Peter Pan is my favourite of favouritests. <– totally a word. It doesn\'t have The Amaranth Enchantment or Entwined, so lemme cry for a second. NEVER BE SORRY FOR LONG AWESOME COMMENTS. I\'m stalking your full goodreads shelf now. I haven’t actually read any re-tellings, I have Throne of Glass on my shelf – what’s that a retelling of? I want to read Cinders, I’ve been thinking about that for ages. It\’s a Cinderella retelling. Omg…you neeeeed to read it. IT IS GLORIOUS. I could help you find some good ones if you are interested 🙂 Just shoot me a message on my blog or social media! Great idea! I’ll hit your twitter. Merci beaucoup. OH YES. Mel will have the BEST recs. But whilst I am here *digs out list* seriously Cinder is phenomenal. (I know you don\’t like Throne of Glass but I LOVE THAT ONE.) Also Splintered. Also Cruel Beauty. Squeeee I LOVE fairy tales and fairy tale retellings too! I LOVED Cinder and I’m so excited to read Scarlet and Cress. I also MUST read Splintered soon because it sounds AMAZING and the cover is absolutely beautiful and asdfghjkl it sounds so good! SPLINTERED IS AMAZING AND BRILLIANT AND I THINK YOU SHOULD READ IT ASAP. I love Sherlock too! Hence, I also love the gifs you used here. A lot. Good luck with your challenge! Thanks, Stefani!! SHERLOCK FTW, I SAY. FAJSFKLD THIS IS GLORIOUS NEWS. I love those books so so much. And seriously, bingeing all the books out is a must. 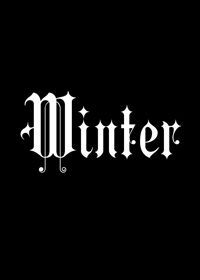 The last Cinder book comes out at the end of this year! I didn’t realize Throne of Glass was partially based on “Cinderella” before I started, but I did pick up on it. I’m reading merrily along and all of a sudden I’m thinking, “When the frack did this turn into ‘Cinderella’?” Guess that explains it. Peter and the Starcatchers is awesome. It’s not so much a retelling of Peter Pan as it is a prequel, but it’s so well done. It’s actually gotten one of my highest ratings on my blog. I really should try the other books in the series one of these days. Beastly by Alex Flinn is a decent “Beauty and the Beast” retelling. Briar Rose by Jane Yolen (“Sleeping Beauty”) is really good, but it’s dark. Robin McKinley’s Beauty (“Beauty and the Beast”, of course) is an oldie but a goodie. The Girl in the Garden by Kamala Nair is not a straight retelling, but it does have shades of “Rapunzel” (and an Indian setting, which is really cool). And you can’t really go wrong with Gail Carson Levine’s retellings: Ella Enchanted (“Cinderella”), Fairest (“Snow White”), and A Tale of Two Castles (“Puss in Boots”) are all pretty good. Some others I’ve read (but didn’t really like) were A Tale Dark & Grimm (“Hansel and Gretel”) by Adam Gidwitz, Neverland (Peter Pan) by Anna Katmore, Ice (“East of the Sun [and West of the Moon]”) by Sarah Beth Durst, and Crazy Beautiful (yet another “Beauty and the Beast” retelling) by Lauren Baratz-Logsted. They didn’t work for me, but others might enjoy them. As loooong as Peter and the Starcatchers still counts for a retelling I don\’t mind. xD I\’ve had people recommend that to me in the past anyway and I\’ve never gotten around to it. So this is PERFECT. I\’ve just reserved Ella Enchanted from the library actually! FINALLY getting into that one! lol, I had just had to laugh out loud about the comment on the buttom of your post about 70% of your reader being pineapples. I actually explained the whole survey to my boyfriend, just so he would get the fun of that comment as well. Okay now back on topic. I actually don’t really like fairytale retellings or maybe I haven’t read the right ones yet. I actually own a copy of Stork and once read a few retellings. I am planning on reading Cinder, as so far that’s one of the fairytale retellings I heard the best thigns about, so I decided that if a book is going to change my mind about that genre it will be Cinder. Or maybe not, maybe I am just not a fairytale retelling person. However I did enjoy reading why you do enjoy this genre and I appreciate knowing how another person sees this genre! Aw, hahaha! That just made my day. xD I have very fruity friends, what can I say?!! Cinder is ajfdakds amazing, although, truthfully I actually dnf\’d it to begin with but then the second time I read it I absolutely FELL IN LOVE. I love retellings. Unfortunately, I haven’t read many. But I plan to remedy that. Last month or so I finished Cinder. That book was so amazing! I was not even expecting anything like that. I even liked Prince Kai, and I usually don’t like the prince love interests. They tend to be cliched or shallow. But he wasn’t. And Cinder was so awesome too. The original fairytale was so focused on romance and true love and all that. But Cinder just wanted to be free. There was romance, but I like how it wasn’t only thing in the book, it was a balance of all things in life (you know, if your life consists of cyborgs and people from the moon who can brainwash you). I’m definitely going to read all the Lunar books this year. And any other retellings I can find. I’m a sucker for a good retelling! I’m actually writing a Snow White retelling from the prince’s pov right now, and it’s coming a little slowly, but it’s so fun! I love how re-tellings take a magical story and gives the characters more demension and gives reasons for a lot of unlikely things. You should totally write a re-telling! I absolutely adore fairytales too Cait (but you already know that…) Marissa Meyer is one of my favorite authors, especially when it comes to combining fairytales with science fiction. 😀 I too am extremely excited to read Fairest and Winter. 😀 And, of course, I love, love, LOVE Tiger Lily. 😉 And ahh! I need to finish the Splintered series – I’ve only read the first one but really liked it (no surprise there, right? ), but for some reason I haven’t picked up Unhinged yet. I am impatiently waiting for A Court of Thorns and Roses because, obviously, Sarah J. Maas can do no wrong. 😉 Thanks for sharing Cait, and great post! So glad you signed up for Mel’s fairytale challenge too – it’s going to be a blast! I DO KNOW THAT. Marissa Meyer is the Queen of Retellings, I say. I cannot WAIT for Heartless. o.O It is going to slay my Alice in Wonderland loving heart. Shadows of the Moon is awesome! Zoe Marriot also has a retelling of the six swans which is great. And reminds me that Juliet Marillier writes a fair few series that start as retellings (eg Sevenwaters, Wildwood Dancing) and standalones that are BEAUTIFUL RETELLINGS I LOVE SO MUCH (Heart’s Blood). Plus Juliet Marillier has beautiful writing and is an Aussie and not enough people love her so READ THEM CAIT. There’s also the Once Upon a Time series of books written by many different authors (The Crimson Thread is one), each only 200-300 pages. So many good retellings to be found there. I used to marathon all the books from this series that were in the library. Also, Peter and the Starcatchers is a good book. I great read! There is also a second one, I forget the name, which was also great, but for some reason everyone I spoke to about it said it was spooky (I didn’t notice)! I hope you enjoy reading it! I love fairy tale retellings! I actually did a post about Once Upon a Time and fairy tale retelling novels a while back. I’m not sure I have a specific reason for loving them. I’ve loved storytelling and magic since I was a little kid. I’ve always loved getting lost in another world. Getting lost in another world absolutely is the best. “. And it amazes me how an author can turn an overused story about girl who can’t keep her shoes on into an epic and hilarious and empowering story about a cyborg” <- PREACH. That's exactly how I feel about retellings, too. Anyways, as for Crimson Thread (one of the books on your TBR) I read it, and thought it was pretty good. I love that whole series of books, because even though they're short they usually are really entertaining. I also love Golden (which is about Rapunzel, but get this, she's bald ) and Spirited (a mix between Pocahontas and Beauty and the Beast). Good luck on your reading challenge, Cait! *climbs on soapbox* THANK YOU, THANK YOU. How…how can Rupunzel be bald?! I used to be so scared of retellings! I even wrote a post about how I do NOT read them. But I really wasn’t sure why. So then Val @ The Innocent Smiley basically forced me (seriously, forced, not just suggested) to read Cinder. And it was good! SO now I guess I am fine with retellings? Well, I shouldn’t say that. They aren’t my go to, I was never really into fairy tales as a kid or anything. But now, if they look interesting (or you know, you tell me I need to read them, i.e., Splintered) I will likely read them. oh Val is very forceful. *nods* I hear you there, although I\’ve been fORCING her to read Throne of Glass for ages now and I believe she\’s still resisting. Meanie. AFJDSAKLD CINDER IS THE BEST! And I quite liked Maleficient too, except I thought they overdid the graphics. >.> I mean, how high do her cheekbones really need to be?! I’ve never really gotten into Fairytale retellings, but I did read one or two retellings of Jane Austen’s “Pride and Prejudice”. What retellings would you recommend for someone who has never read one before? P.S. I am currently in Disney World right now, so I would LOVE to read a good fairytale while surrounded by castles, magic and adventure! Or or or Cinder. Or Tiger Lily. Tiger Lily is gorgeous. I hope you read all the retelling to your heart’s content this year. 🙂 I might be reading Splintered soon, but I’m kinda hoping I don’t love it, because how am I going to get the second book? :/ But it sounds amazing, though. The only retellings I’ve read are the Lunar Chronicles ones, and I can’t wait to read the newest installments! I am so excited for Fairest. YES to bad guys. I will probably do some sort of round up with like a 2 sentence review at the end of each month?! Oh I do love a good fairy tale re-telling. I am taking part in this challenge too and I just posted my first review two days ago. I read, Locks:Rapunzel Unhinged by Sarah J. Pepper. Her Death of a Mad Hatter is pretty awesome too. You can surely check them out. From your list, I loved Alice in Zombieland. And I don’t like zombies. At all. Since I read the the first few chapters of My Life as a White Trash Zombie, while having my lunch, they disgust me. I’m planning on reading Enchanted too. Other books I’m thinking of reading, mind you just “thinking” are Cinder, Entwined by Heather Dixon, Cruel Beauty by Rosamund Hodge, Of Beauty and Beast by Stacey Jay, The Queen of Hearts Saga by Colleen Oakes, Winterspell. Maybe I’ll find something else too. *hi fives* We are junkies together! Yay, we’re all Pineapples! I guess I need to take a look at the survey again to remind myself what I actually wrote in the survey. it is a FRUIT SALAD around here, I tell you. I\’ve done a big infographic of the survey results which I think I\’ll post tomorrow. XD It\’s exciting. hehe. Exactly! Cinder is the perfect example of making a fairy tale so absolutely totally different. OOH. I *love* retellings! My favorites are definitely Ash, Elementary, the Lunar Chronicles, and Maleficent, although I also enjoyed the Percy Jackson books (those count, right?! ), Ella Enchanted, Briar Rose by Jane Yolen and this book called All Men of Genius. It’s a retelling of Shakespeare’s Twelfth Night AND Oscar Wilde’s The Importance of Being Earnest. I KNEW YOU\’D SAY ASH. XDDD I\’m so glad I read it, it was so beautiful. I\’m not sure if PJ counts because it\’s mythology. I mean it\’s retelling, but if that was the case, I\’d have SO many mythology books to read. So *sigh* I think I\’ll try and stick to mostly retellings for now. Omg, there are SO many Cinderellas. I wish there was more Nutcrackers and Thumbelinas and stuff. I love fairy tale retellings, and I have read a lot of them. I’m a huge fan of Disney and other animation, so I guess that’s why I know almost all the fairy tales? WHICH IS WHY RETELLINGS ARE SO COOL. Unless they are done badly. That could be bad. I think Crimson Bound (by Rosamond Hodge, also author of…uh…what was that book called? Oh Cruel Beauty), would be a good book for you if you get a review copy of it! I think it is a…….either a Red Riding Hood retelling or Sleeping Beauty but I am leaning towards the former. I do want to read Crimson Bound!! It\’s not being published in Australia tho, waaah! So if everyone loves it, I think I\’ll buy it because CRUEL BEAUTY WAS AMAZING. I love fairy tale retellings!!! So much!!! I highly recommend Gail Carson Levine’s Ella Enchanted (Cinderella), Fairest (Snow White), and A Tale of Two Castles (veeeeery loosely Puss in Boots). But you’ve got some fabulous retellings listed, some of which I’ve read and some of which I seriously need to!! 😀 P.S. I love that Sherlock “Let’s play murder” GIF–John in the background hahahaha. I totally forgot about Ella Enchanted but I\’ve reserved it from the library now! I love fairytale retellings as well (who doesn’t?). I agree that they do have to be really good. I’m not participating in the challenge. I’m not very good at complete challenges, and they stress me out a little. Have you read the fairytale retelling by Alex Flinn? Se has a few, I read Beastly and Cloaked and really enjoyed them. Good luck with your challenge. I\’ve never ever done challenges before this year so it\’s kind of my testing year to see if I like it. xD I shall check out Alex Flinn! I, too, love a good retelling. What’s better than bringing my childhood back, fresh and revamped with my teenage favorite things? But only the retellings that are really well done. Otherwise I feel cheated. A not-good retelling book is worse than a movie-based-on-book gone wrong (like Eragon and Percy Jackson). They leave a sour taste in my mouth and make me want to curl up in a little ball and question the state of humanity for awhile. It’s horrible. Thankfully, though, I don’t think I’ve read many not-good retellings lately. I’m doing the fairytale retelling reading challenge! I’m insane. I’m going to do the wise princess level of 16-20 retellings. I’m not sure where my brain went when I made that decision. My best guess is that it went on vacation to Jamaica without telling me, but it’s not returning my emails at the moment so I can’t say for sure. Either way, I’m not letting myself back out of it now. I suppose this will be a very interesting year for me. My gosh women move the comment box to above the already left comments…cause I’m lazy and use my phone to comment and that is a hell of a lot of scrolling down thru 97 comments lol. I loved The Looking Glass Wars. I have a few of your tbr for the challenge on my shelves unread so I’ll have to add then to mine as well. Which makes me realize I need to compile a list of possible tip read books for this challenge. Some on your already read list I haven’t gotten to but item as well ask I’ll be leaving this page open for me to make a post with soon. Lol heck it might not even be possible. I would assume themes have that sort of thing hard coded where you can’t change it. Just wishful thinking on my part. 🙂 but hey it’s so awesome you get so many comment/visitors. Just smack me for being surly oh world dominator! I LOVE retellings my favorite are usually greek mythology retellings. I am probably the only book reader who did not like Alice in Zombieland. Of course I’m a huge Alice in wonderland fan and it didn’t live up to my already high expectations. there might be a few more but these are the ones I’m most excited about, also I lot of these I can get from my library on ebook (yay!). I hope you reach your goal! I\’m a really really big fan of Alice in Wonderland too, and I NEED retellings of it to be so so good. That\’s why I\’m very worried about Alice in Zombieland. >.> I will try it, but my expectations are probably too high. hehe. Ohh, I\’m looking up all of yours! I FORGOT ABOUT STITCHING SNOW. I so want to read that! Can I just say…. Once. Upon. A. Time. I love retellings too. I just find it fascinating how a story known by all can be re-interpreted a thousand different ways. I like both when the retelling stick closely to the original story, changing only a few things, and when it’s a complete different story with only references to the original now and then. Somehow retellings prove that these fairytales are going through centuries and still are a source of inspiration years after they’ve been written because the messages in them are still accurate. Enchanted by Alethea Kontis is AMAZING! You should totally read that one! I’ve made it a point not to ask blogger friends for reviews, but I am also happy to send copies to friends. So, if you wanted an 18th book, I’d be happy to send you a copy of my loose retelling of Sleeping Beauty (https://www.goodreads.com/book/show/18691743-tattered-heart). OMG, you are too nice! I shall check out yours too! Can you only get kindle books from amazon.au? Because Enchanted is only $1.99 right now at amazon.com and I will gift it to you in a heartbeat. It’s a great book and Alethea is so sweet and fun that I love helping people read her books 🙂 If you can get kindle books from the US site – DM me the email address you use on twitter or email me and I’ll totally send it to you. And the cover is also too beautiful for words. The Looking Glass Wars series was AWESOME. I did not enjoy Enchanted or Dorothy Must Die. Does your library have The Stepsister Scheme by Jim C. Hines? If they do, you must check it out. The next book in the Cruel Beauty series comes out this year right? I’ve read a few of these books, but probably my favorite fairy-tale rewrite is ‘Beastly’. Pretty good stuff. And oh, I can hardly wait till ‘A Court of Thorns and Roses’ comes out. I’m looking forward to that one! afjdklfad A Court of Thorns and Roses is going to be AWESOME. I’m super happy that I stumbled on this post because I love retellings too! There are tons on this list that I haven’t read and some that I hadn’t even heard of, so thank you for that! *adds all the books to TBR shelf* Also, I love the Sherlock GIF usage. Every and any post is better with Sherlock, right?! I second your thoughts on retellings!!! I also second anyone in the comments who told you to read Entwined by Heather Dixon. I read it (I have a review coming up on my blog soon) in December and absolutely loved it!! It’s magical, beautiful, funny, creepy…and so much more. Read it! I SHALL ADD ENTWINED TO MY LIST! I love this post! I love retellings also-and that Sherlock gif is perfection. I really loved Indexing by Seanan McGuire- I don’t know if the lib would have it, but its a collection of lots of fairy tales. I liked Dorothy Must Die so I hope you enjoy that one! I had no idea Throne of Glass was a retelling! I need to reread that badly. Haha, I love your gifs choices!!! 🙂 I love fairytale retellings and I really need to try and read more this year. I was tempted to join the challenge, but I always lose track and never keep track or update my progress. I hope you get to them all. A COURT OF THORNS AND ROSES! I hope you read that asap, so that we can flail together. I just realised I\’m going to need to keep track of this. XD haha! more writing lists! OH HOW I LOVE THIS. And afjdklafds you are so lucky to have read ACOTAR so early. XD I CANNOT WAIT TILL I CAN FLAIL WITH YOU!! Like you, I love fairy tales – both the originals and retellings. It sometimes amazes me the creative ways that someone can twist and turn a story and still make it reminiscent of the original. I look forward to reading about your retelling adventures throughout 2015! OH MY GOSH THE COMMENT BOX IS BACK AT THE TOP!!! And I’m still waiting for an Alice in Wonderland one to blow me away. Splintered was alright, but I’m hoping Unhinged is better. As for your To-read list, I’m going to say that The Looking Glass Wars was good but dull at the same time. On the one hand, it’s good to actually read the first one, because there is a fair bit of discussion on the spelling of Alyss’s name. On the other hand, I listened to the second and third one on audio and I enjoyed them so much more. My main memory of those books was that they were big on sound-effects. Which made the audiobooks very entertaining. And Throne of Glass was a retelling? Seriously? I am someone who loves a good retelling as well! I recently discovered this and haven’t read too many of them, but plenty have been added to my TBR as of recently. 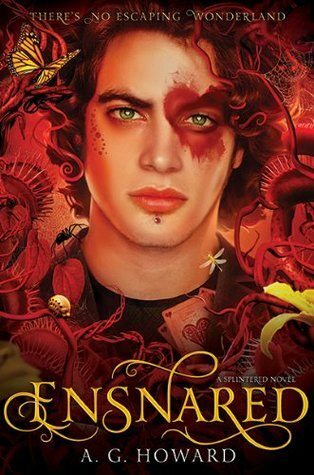 Cinder is the oldest book in my TBR and is on my shelf just waiting for me… I love Once Upon A Time and am currently watching the Third season… yay! Oh, and if you love a good retelling done well you should try Cinder and Ella by Kelly Oram! Ooh, I'll check that out! Thanks for the rec! Yay, ToG! 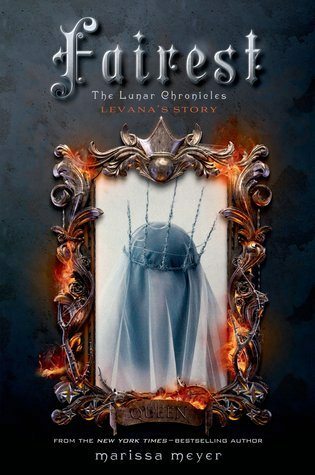 I was so surprised when I read the first book because I knew it was supposed to be a retelling, but where was the Cinder? Then I was sure she’d sneak into a ball and kill Dorian. Who knows, she still might. So many fairytales. I, too, love them- the wonder and hope and deception and evil sorcerers. It’s all there and it’s so often so very glorious! A Long, Long Sleep is a really wonderful retelling, I think- it completely changed my perspective on Sleeping Beauty- and I did struggle for a lot of Fairytales for Wilde Girls, but after 200+ pages of disliking it enormously, I ended up LOVING it. So it just goes to show. I hope these are marvellous reads, Cait.